Beautiful teak elements make her also a perfect boat for professional and semi-prof�PHOTO SHOOTS�and�FILMING. 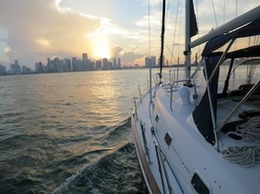 She is currently the only vessel in Miami offered for charters on both the ocean and intercoastal waters of Biscayne Bay. 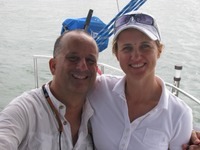 Half day itinerary may include OCEAN SAILING or Biscayne Bay (upon your choice and weather - tide conditions). Full day sails offer spectacular itinerary around Key Biscayne - both ocean and Biscayne Bay from Miami Beach. The interior of the vessel is fully air conditioned and additional fans are thoughtfully placed for additional ventilation. She is equipped with 8kW generator. We currently offer WInd Runner for�day sails on Miami waters�- Biscayne Bay or the Atlantic ocean (when conditions allow). 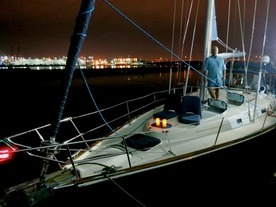 Occasionally�she is offered �for overnight sails for one couple. Please inquire for rates directly. Rates depend on number of participants (max 12) based on demise charter agreement and hired captain. Beautiful teak elements make her a perfect boat for professional and semi-prof PHOTO SHOOTS and FILMING. Pls specify while inquiring. No filming nor professional photo shoots will be allowed on regular sails. Must be agreed on booking agreement.